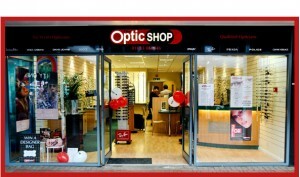 Every inch the independent, family-run business, The Optic Shop in Newport was opened 11 years ago by Keith and Amanda Harris. Their 25 years’ experience in the field of ophthalmics, exceptional industry knowledge, unsurpassable customer care and an eye for the most up and coming eyewear has proven a winning formula among customers old and new. And such has been the demand for Keith and Amanda’s refreshing approach to optometry, that the family opened the doors to their second branch in the popular Cwmbran Shopping Centre in 2010. 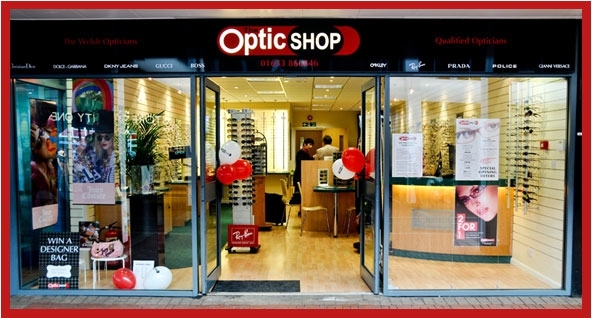 Using the latest technologies, the team of highly trained optometrists at The Optic Shop Newport & Cwmbran take pride in going that extra mile to provide the very best eye care for all the family. Whether you’re looking for a sight test, specialist lenses, considering contact lenses or looking for the very latest designer sunglasses from the likes of Chanel, Gucci, Bulgari, McQueen and more — you can rest assured that you will receive an unsurpassable level of care, advice and products to truly maximise your vision. Click here to find out more about our team! Are you looking for a base in Newport City Centre? We have a bright, spacious treatment room available for hire in our busy Newport branch! Ideal for beauty therapists/ massage/ holistic therapists, acupuncture, reflexologists, chiropractors or nutritionists looking for a large, adaptable room to treat clients, this superb room provides the perfect solution. Click here for more details!